Kinect arrived, bringing a means of controlling games by grasping at thin air. The Supreme Court heard arguments in a case that could change how games are sold, even made. It was a week that carried the scent of history. 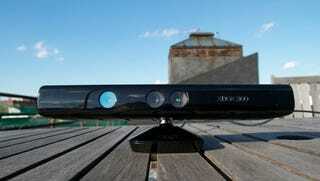 Our verdict on Kinect: it's a winning piece of technology, albeit one in need of a big game to drive it right now. No verdict on Schwarzenegger vs. Entertainment Merchants Association, though; the Supreme Court will return with its ruling on California's anti-violent video games law sometime early next year. As for the rest of the week, pour some coffee and peruse our Original coverage, and form your own opinions in the comments below.